To provide intensive case advocacy and support to at-risk, isolated seniors with the aim of improving their home environments, physical and emotional health, and general well-being. coming in to the office. In September 2001, the Rogers Park Community Council (RPCC) and its subsidiary, the Rogers Park Community Development Corporation (RPCDC) relocated their offices to the ground-level storefront of Morse Senior Apartments at 1528 W. Morse, a space they helped to develop. The move represented a commitment to serving the senior residents of this new affordable, senior housing development, which the RPCC and RPCDC helped make into a reality. RPCC also pledged to bring other support services to the at-large senior population in the community, and thus, the Senior Initiatives Program (SIP) was born! In March of 2001, RPCC supported the opening of a wellness center at the Morse Senior Apartments, originally staffed by CJE SeniorLife (formerly Council for Jewish Elderly). RPCC provided office space and telephone service to the outpost, as well as a small start-up stipend through a grant from the Chicago Department on Aging (now known as the Chicago Department of Family & Support Services Area Agency on Aging). In 2003, SIP added extensive case management, basic computer instruction and educational programming to its core of services. 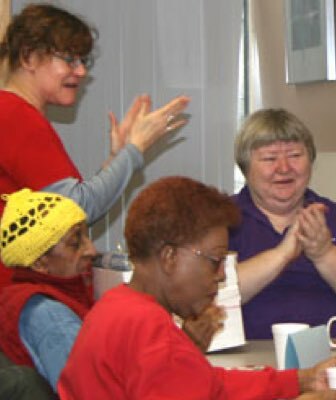 In a relatively short period of time, SIP developed a reputation as a key resource for seniors in the Morse Senior Apartments and throughout the Rogers Park senior community. In 2010, the Chicago Department of Family & Support Services (CDFSS) shifted its funding emphasis from community-based development to crisis intervention. The move was designed in order to assist the growing numbers of at-risk and isolated seniors living in various stages of self-neglect. As this vulnerable senior population needed intensive support, the program was renamed Intensive Case Advocacy for Seniors, or ICAS for short. The ICAS program received funding by the City of Chicago’s Department of Family Support Services through a US Department of Housing (HUD) Community Development Block Grant. Chicago is one of the first cities in the nation to develop a community-based crisis intervention model, where sanitation, postal and other emergency workers in the public domain were trained on identifying and reporting cases of neglect within the senior population. Once at-risk senior residents are identified by workers, landlords, neighbors and other concerned parties, NCR receives a case referral from the City of Chicago Department of Family Support Services (DFSS). 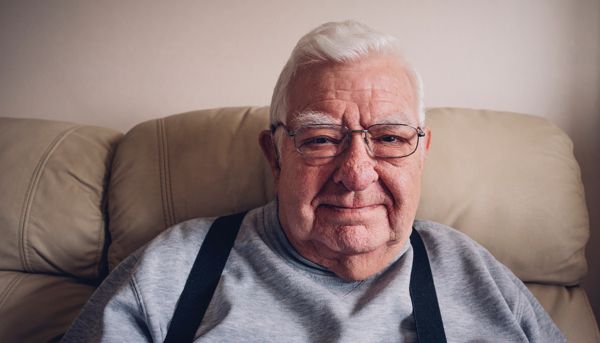 Within 72 hours, NCR makes contact with the client, conducts a physical and mental health assessment and tailors a plan to help get the senior back on their feet quickly. NCR and its network agencies step in to try and develop a trusting relationship with the client and then provide crucial services which helps them recover and ultimately saves lives. NCR also collaborates with a host of local senior services providers, to help refer senior clients for additional support services and resources. In July of 2014, NCR formally adopted the Caring Connections for Seniors (CCS) organization and merged its programs into NCR senior services, to help fill service gaps and broaden its overall range of senior services. In addition, Caring Connection’s Executive Director Andre Petty, came on board NCR as its new Senior Services Director to head up all of NCR’s expanded senior services. NCR also renamed its Senior Initiatives Program to Caring Connections for Seniors Program. The Caring Connections for Seniors (CCS) program is also a volunteer-based service model, which utilizes volunteer students, from some of the local area schools, and other adult volunteers to help provide physical, social and emotional support to at-risk seniors through the Intergenerational Arts and IT Connect for Seniors programs.